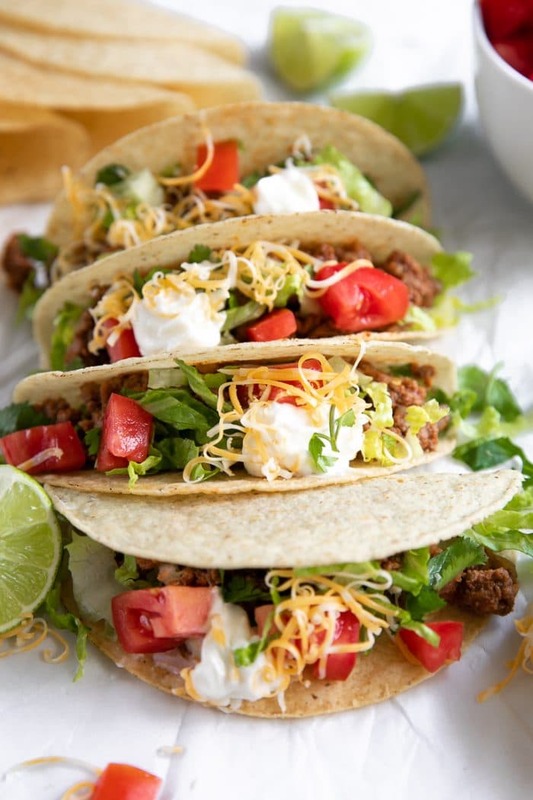 Classic, delicious, and a million times better than fast-food tacos, these homemade Ground Beef Tacos are filled with perfectly seasoned ground beef, fresh lettuce, cheese, and tomatoes all stuffed inside crunchy taco shells. An easy 20-minute meal even the pickiest of eaters will enjoy this taco recipe! Thanks to the children’s story “Dragons Love Tacos” we have a new favorite dinner at my house – ground beef tacos! 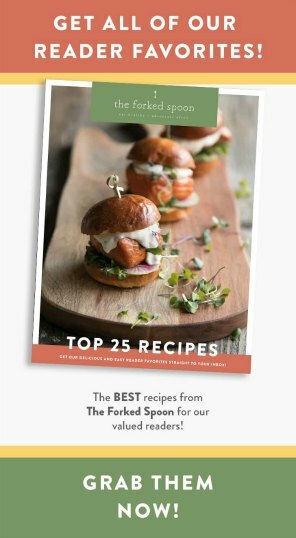 Personally, I’m a big fan of all the tacos – Lamb Tacos, Cauliflower and Lentil Tacos, Shrimp Tacos – but convincing a picky eater that homemade tacos are actually delicious isn’t always easy. Of course, getting him to take the first bite is always the hardest, but sometimes, even if he actually really likes something he’ll say he doesn’t just because I made it. For no reason other than I, his mother, made it and because he would rather eat ice cream (wouldn’t we all, kid). But these tacos were different. Simple and classic, these ground beef tacos are the kind of tacos we (old folks) grew up eating before tacos became cool. They’re the kind of tacos you’d expect from your favorite fast food drive-thru (except better). They’re the kind of tacos my son ate three of and has since requested for dinner every single night for the past week. Deciding which ground beef to use for your tacos depends entirely on you. Personally, I like to make my taco meat using 90% lean ground beef. 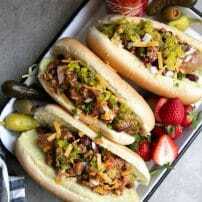 The meat is still flavorful, tender, and delicious, but isn’t overly greasy. On the other hand, you can also use 80% lean ground beef. Readily available and extremely economical, this option comes with more fat to drain away mid-way through the cooking process. 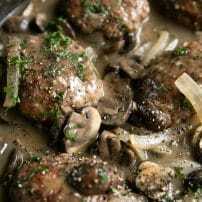 If beef isn’t your thing, any ground meat will work in this recipe including turkey, chicken, pork, venison, etc. Venison and ground turkey are two of my personal favorites. One of my favorite parts about these tacos is the small ingredient list. You may make this recipe a few different ways- with store-bought taco seasoning, homemade taco seasoning (highly recommended- it’s SO easy! ), or by measuring out the individual seasoning and spice amounts needed to make up approximately 1 tablespoon of taco seasoning (as shown in the recipe card at the end of this post). I had a jar of homemade taco seasoning so that’s what I used and this recipe turned out perfect! Not too spicy, not overwhelmed by ground cumin, and apparently awesome enough for a 5-year-old. Onion. I will always and forever add onion to my taco meat. 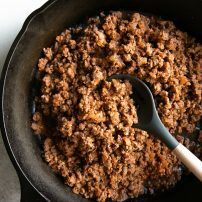 Cooked until super soft and tender, onions add loads of awesome added flavor to any ground taco meat recipe. Ground Beef. What you see here is 90% lean ground beef, but it’s always best to pick what will work best for you and your family. 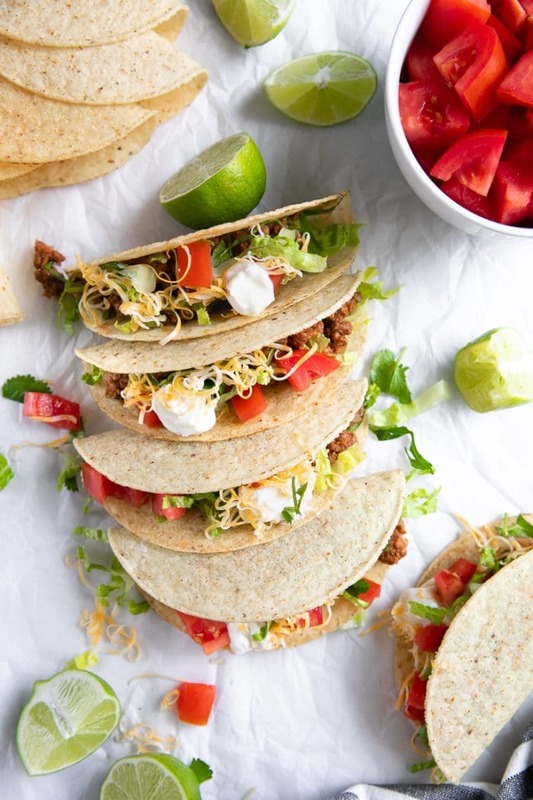 One pound of ground beef will be enough for approximately 3-4 people to enjoy a couple of tacos packed full with all your favorite toppings. Taco Seasoning (chili powder, garlic powder, dried oregano, paprika, dried cumin, crushed red pepper, salt + pepper, cornstarch). Store-bought or homemade, you can’t really have taco meat without seasoning. Tomato sauce. Sometimes I’ll use canned diced tomatoes, but I much prefer using tomato sauce. My 5-year-old doesn’t complain about the red things in his food and it helps keep the taco meat nice and juicy (even when leftover and refrigerated). Preparing your very own homemade taco seasoning is super easy and so much tastier than store-bought. If you have a couple of extra minutes, I highly recommend giving it a try. Besides, it’s a great way to use up those extra spices before they expire! Enjoy sprinkled on chicken breasts, or used to season this Instant Pot Salsa Chicken or Chicken Fajita Roll-Ups. You can even add it to this hot and cheesy Black Bean Dip! How do you make Taco Meat? 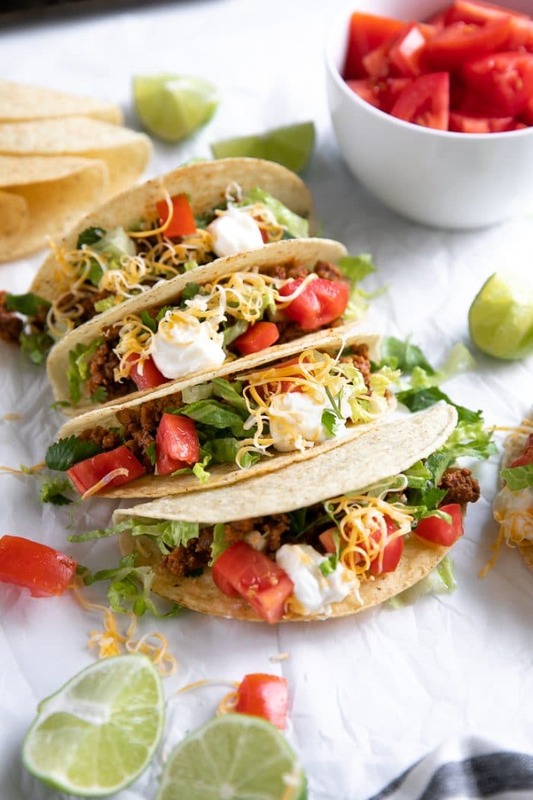 To make homemade taco meat, gather your ingredients and decide on your toppings. Start by heating a large skillet over medium-high heat. Add the oil and diced onion and sauté until the onions are soft, making sure to stir often. If the onions start to burn, reduce heat slightly. Add the ground beef and immediately start to break it apart using a large wooden spoon or spatula. In order to get the best-seasoned beef tacos, you want to break the beef into small bits and pieces. 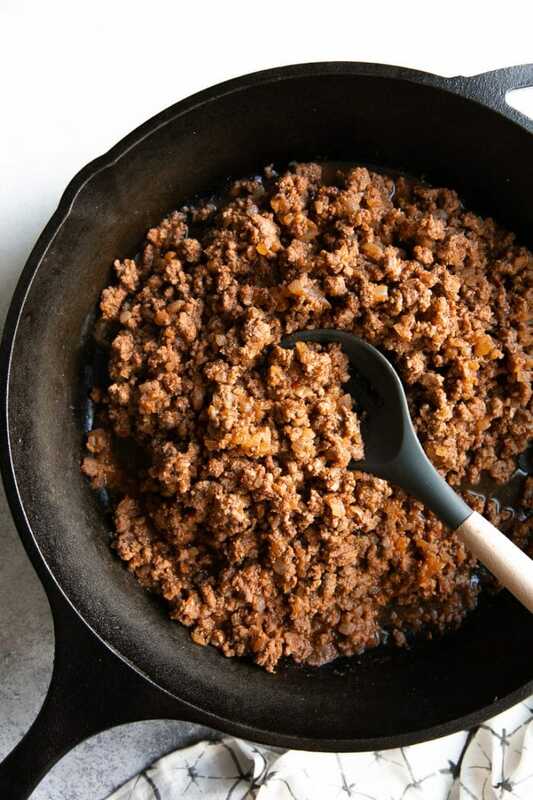 Once the ground beef is cooked, drain approximately 3/4 of the liquid and fat from the skillet. Return the skillet back to medium-high heat. Add the tomato sauce, seasoning and spices and mix well to combine. Continue to cook for an additional 5 minutes or so, stirring often. Finally, assemble your tacos! Fill with cooked taco meat and all your favorite toppings! Tip – If time permits, warm up your taco shells in a preheated oven set at 375 degrees F. for approximately 5 minutes. Tacos strongly dislike cold taco shells. What are the best toppings for tacos? I am a firm believer in toppings. It gives you variety and choice and helps make food fun – which is especially important when little kids are involved! Do you have to include all of these options? No way! 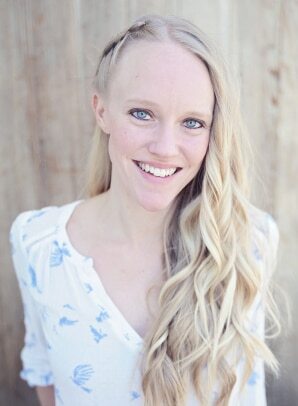 Unless you want to throw a party and make a fun taco bar! Can you Freeze leftover Ground Beef Taco Meat? Yes! Absolutely. In fact, this is super easy to do. 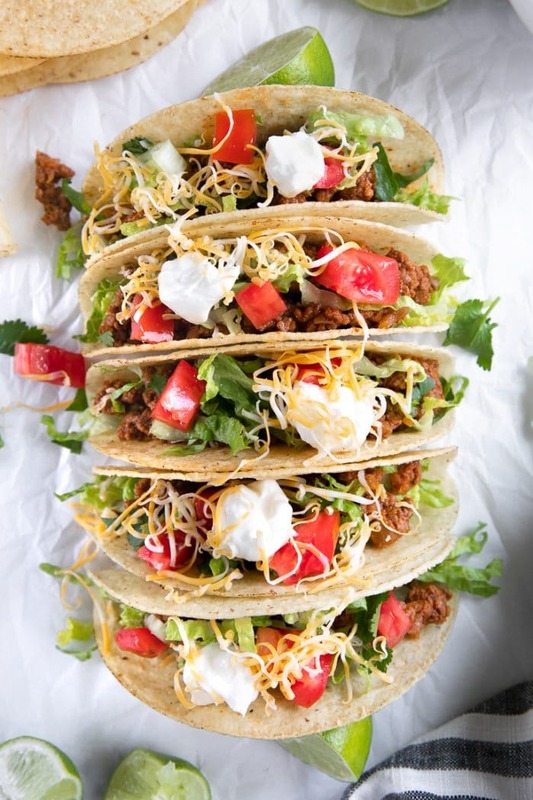 To freeze any leftover taco meat, allow your meat to come to room temperature. Once your taco meat is room temperature ready, divide between the desired number of freezer-friendly bags (I love these freezer friendly reusable silicone bags). Remove as much air as possible from each bag and seal completely. Label how much taco meat is inside each bag. 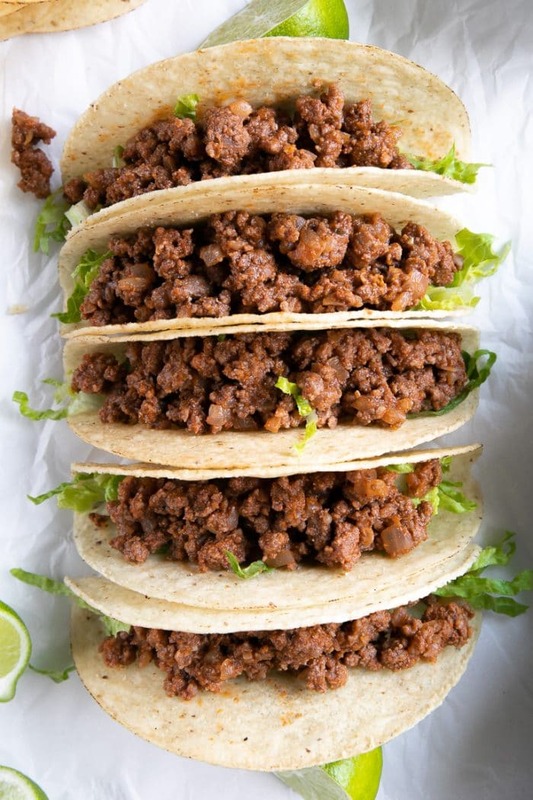 When ready to thaw, transfer to the refrigerator and allow your taco meat to sit overnight, or place the bag in a large bowl filled with warm water. Allow the meat to loosen up enough to remove from the bag and either transfer to a skillet or microwave-safe bowl to reheat completely. If you try making this Ground Beef Taco Recipe, please leave me a comment and let me know! I always love to hear your thoughts. DON’T FORGET TO PIN AND SHARE THIS TACO RECIPE AND ADD IT TO YOUR NEXT WEEKLY MEAL PLAN! 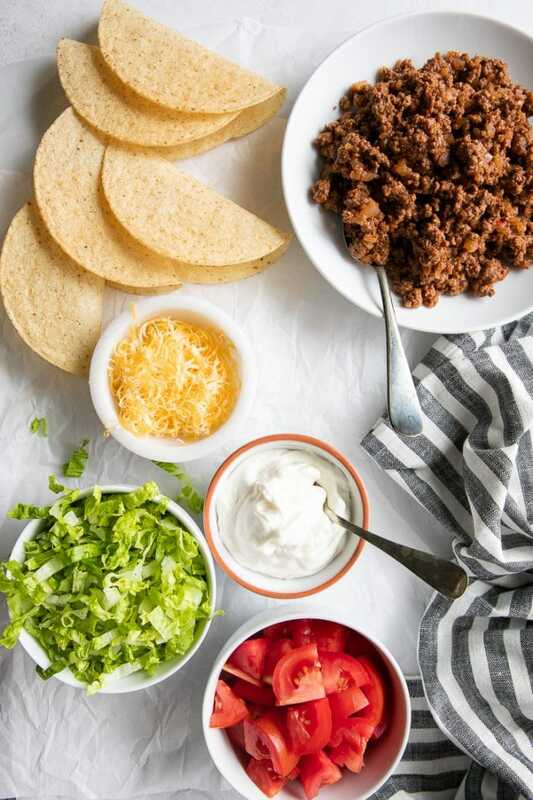 Classic, delicious, and a million times better than fast-food tacos, these homemade Ground Beef Tacos are filled with perfectly seasoned ground beef, fresh lettuce, cheese, and tomatoes all stuffed inside crunchy taco shells. Heat a large skillet over medium-high heat. Add the oil and diced onion and sauté for 4-5 minutes, or until the onions are soft. Reduce heat to medium if needed, and stir often to prevent the onions from burning. 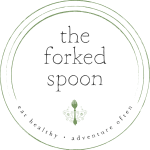 Add the ground beef to the skillet and use a large wooden spoon or spatula to break the beef into smaller and smaller bits and pieces. Fully cook your ground beef before draining approximately 3/4 of the liquid and fat from the skillet. Return the skillet to medium-high heat. Add the seasoning and spices and tomato sauce to the beef and mix well to combine. Continue to cook for an additional 5 minutes, stirring often. 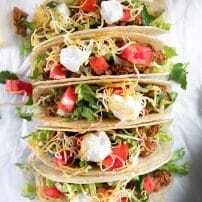 Gently spoon the prepared ground beef into individual crunchy taco shells and top with all your favorite toppings such as lettuce, tomato, cheese, and sour cream. Enjoy! I highly recommend preparing a large batch of Homemade Taco Seasoning as it is super versatile and delicious in all your dinnertime favorites like Taco Salad, Chicken Tortilla Soup, Enchiladas, or easy Baked Fajitas. Feel free to use your favorite ground meat for these tacos including pork, lamb, venison, chicken, or a mix! Taco meat is super delicious leftover! So make extra and enjoy for lunch or dinner the next day...or even the day after that! Nutrition information does not include cheese, sour cream, lettuce, or fresh tomatoes.